A new baby girl in the house this year? 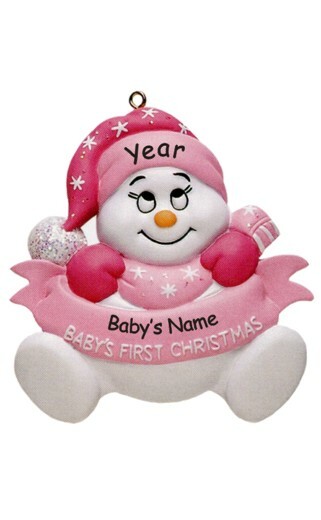 Baby's First Christmas must be remembered with their very own personalized Christmas ornament. We personalize with her first name and the year. All ornaments come with a red satin ribbon ready for hanging on your tree. Approx. 3 1/2 in. high. Personalized by hand.